After what seemed to be a never ending summer, it's FINALLY cold in L.A. and this east coast girl could not be happier. I bundled up in one of my favorite sweaters that I've had for years and accessorized with an oversized plaid scarf that I scored at Forever 21 last year. It was cozy/chic and absolutely perfect for a busy weekend spent on the go with my family. 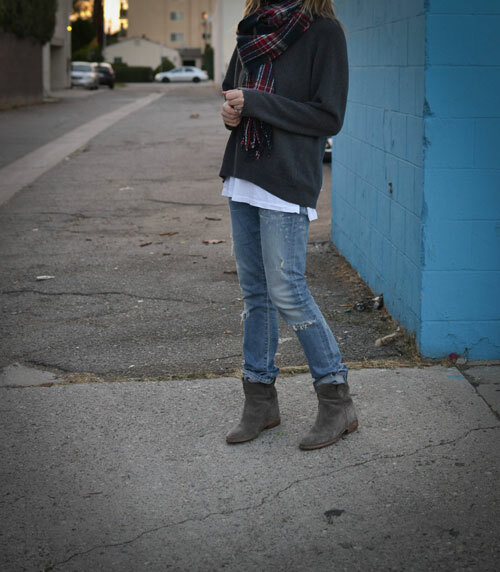 Such a cute and perfectly layered casual outfit! Loving the casual chic outfit hon!